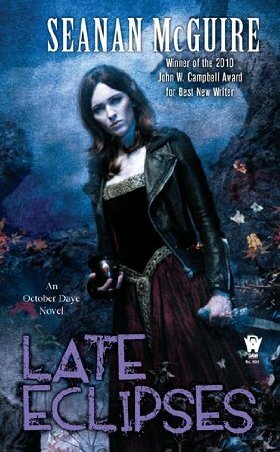 Late Eclipses is the fourth book in the October Daye series by Seanan McGuire, winner of the 2010 John W. Campbell Award for Best New Writer. The first three books in this urban fantasy series are Rosemary and Rue, A Local Habitation and An Artificial Night. This latest installment will be available on March 1, and the fifth book, One Salt Sea, will be released in September of this year. According to McGuire’s website, there will be at least two more books after this – Ashes of Honor in September 2012 and The Chimes at Midnight in September 2013. While putting groceries in the car with May and Danny, Toby is approached by a messenger from the Queen of the Mists. The Queen has ordered Toby to appear at Court, which seems rather ominous considering the fact that she’s not at all fond of Toby. Once Toby arrives at Court, she is rather surprised to see Tybalt, who as a king himself has no fealty to the Queen of the Mists. Tybalt warns Toby that the Queen has no love for her, then creates a huge scene leaving Toby both confused and angry. There’s not much time to dwell on what happened since soon Court is called to session. Toward the end the Queen calls Toby forward and grants her the title of Countess of Winterrose, which was very unexpected since changelings do not get titles, even passed down from their own parents. Afterward, Tybalt comes back and insists on talking to Toby about this being a trap, but before he gets a chance to he is interrupted by Marcia from the Tea Gardens. Lily, the Undine in charge of the Tea Gardens, has become very ill even though Undines never get sick. Not knowing where else to turn, Marcia came to Toby for help. By playing out a commotion of epic proportions, May and Tybalt distract the crowd so Toby can slip out to see Lily for herself. What Toby observes is not encouraging – Lily looks like death. Although Lily is more concerned about her children being taken care of, Toby of course determines to figure out what is causing Lily’s illness and save her friend. In order to do so, she’s going to have to face her past – both an old enemy and a secret her mother has been keeping from her. The first three books in this series were fun, and they just keep getting better to the point where this has become one of my series addictions. When this one showed up, I was very excited and started it as soon as I finished the book I had been reading at the time. It was finished in about 3 days, and I was not disappointed – this is now my favorite book in the series so far. As is usual for the series, the first chapter had a few places where it filled in some background information, but I suppose this is probably considered necessary just in case someone starts reading with this book. In any case, kudos are in order for McGuire for always keeping it interesting with Toby’s sense of humor and how she words it. 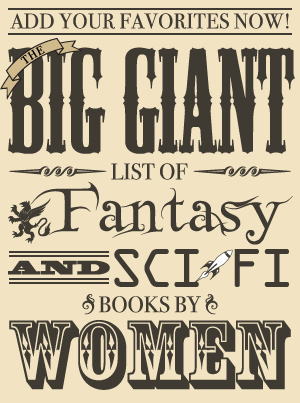 Even though we’re being told some information we already know if we’ve read the other books, it’s at least interspersed here and there and told in a different way each time. There is none of that copy-paste-repeat style of infodumping that goes on for pages and pages and reads the exact same way every time (if you ever read a Baby-Sitters Club book during your childhood, you know what I mean). Once it reaches chapter two, it takes off and never lets up. Although the previous books were pretty well-paced, this one moved even faster and a lot happened over the course of the book. In this installment, we learn more about Toby’s mother, Amandine. Also, it answers some questions that came up in the previous two books that had severely piqued my curiosity – namely, why Toby was able to do some of the magic she has done and what Tybalt was hiding in the previous book. This changes a lot while opening up a lot of new possibilities, and it will be interesting to see what happens in the next books. It’s turning into more of a love triangle with Toby in the middle of Connor and Tybalt. Now I like Connor all right, but he’s not Tybalt and there should be no contest. I know Connor and Toby have a history, and Toby can’t quite see that someone with the Tybalt’s charisma and position would really like her, but c’mon! It’s Tybalt, dammit! In some of the earlier books, I’ve had some trouble believing in Toby as a PI because, quite frankly, she’s been dim when it comes to solving some of the mysteries. Happily, she was much smarter in this book and I didn’t have this problem even though it was more mystery-focused than the third book. This isn’t to say she figured everything out immediately, but there were good reasons for her to not know everything. Plus she did have a better handle on the situation than most of those around her. This book also shows yet again that not everything is always going to end up happy in this series. McGuire lets sad events occur, and she doesn’t wave her magic author wand to right all wrongs and set everything the way it was in the end. Late Eclipses had everything I’ve come to love about the October Daye series and then some since it exceeded my expectations. It’s a lot of fun with some very satisfying revelations and is the strongest installment in the series yet. Where I got my reading copy: ARC from the author/publisher (sent by the publisher at the request of the author).